Take initiative and find me online! How to create evolution in your life, no resolutions needed! 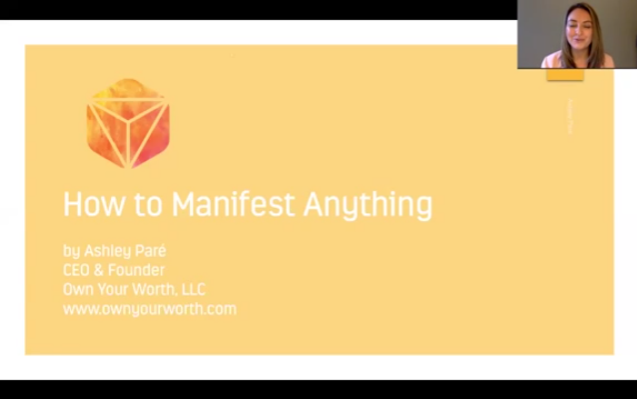 Learn How To Manifest Anything FOR FREE! Maybe you are a leader managing a team with little support, big responsibilities, and not enough recognition of your efforts. Perhaps you are an entrepreneur navigating the growth of your business and the uncertainty of being on your own. Maybe you are a strong individual contributor looking to move into leadership. After watching this video you WILL be ready to step into your full potential and create your ideal life.